It’s a dangerous world out there. Crime, vandalism, terrorism, natural disasters, and everyday accidents are real concerns for owners and managers of commercial and public buildings. A comprehensive, tiered security plan offering multiple layers of protection is the best way to provide the highest level of protection possible. 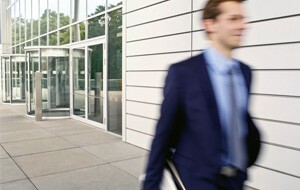 LLumar safety and security window film can play a key part in your plan, acting as a first line of defence. Made with thick, heavy-duty polyester bonded by strong adhesives, LLumar safety and security window film provides an optically clear yet powerful barrier that helps hold glass in place should impact occur. Danger from accidental impact, windborne debris and seismic tremors can be greatly reduced. LLumar safety and security window films are also ideal for use in high-traffic areas with windows or other surfaces vulnerable to "smash-and-grab" theft or vandalism. Suitable for a broad range of applications, LLumar offers safety and security films meeting numerous certifications and test standards in Europe and around the world. Please get in touch with us to find out more. From corporate and retail to hospitality and educational applications, LLumar's high-performance safety and security window films can help you control the danger and damage caused by broken glass in new construction and retrofit projects. Strong LLumar safety and security window films offer a broad range of solar and aesthetic solutions to compliment the demands of any commercial project.